There are many different decisions that have to be made when someone is first diagnosed with incontinence. One of the most important decisions that will have to be made is what incontinence product to use. One of the most widely used types of incontinence supplies is the adult pull up. Many incontinence sufferers choose to use type of adult incontinence product with or without incontinence pads in order to maximize their effectiveness. In addition, this type of incontinence underwear is used due to the fact that it can be easily put on and taken off. However, if you are considering buying adult pull ups there are different factors that you should consider. Here is what you need to know about how to buy adult pull ups. What size is needed? Many people underestimate the importance of size and fit when they are buying an adult pull up. However, the bottom line is that fit plays an integral part of how effective the adult pull up is. If the adult pull up (or any incontinence undergarment), does not fit right then it will not provide adequate protection against leaks and accidents. If the adult pull up is too small then gaping and chafing can occur and if it is to large then leaks could occur because the fit is not right. This makes it crucial that anyone who is buying an adult pull up for either themselves or someone in their care is conscientious about fit. The good news is that there is a wide range of sizes that are available in adult pull ups. This means that everyone from the smallest sizes to the largest can find the adult pull up that fits them the best, insuring that they can have the highest level of effectiveness and protection in their incontinence underwear. What level of absorbency is needed? It is also important to understand that not all adult pull ups are the same. 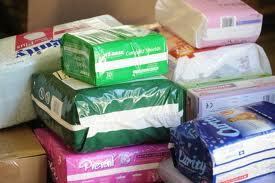 There is a wide range of absorbency in adult pull ups. It is also important to note that the wearer may need different absorbencies from day to night. This makes it crucial that you choose the type of absorbency that works for your incontinence needs. You may need a lighter absorbency during the day and a much heavier one at night in order to avoid having to wake frequently and change your adult pull up. Many people with incontinence choose to purchase a wide range of absorbencies so that they can have the right adult pull up on hand when they need it. One of the ways to find what works for you is to sample various adult pull ups before committing to purchase in bulk. This way you can save yourself money and hassle and be able to choose the right incontinence product to meet your individual needs. What extra features do you need? There are many adult pull ups that are simply an incontinence undergarment. The wearer will simply pull it up and then pull it off (hence the name adult pull up). However, there are many other brands of incontinence products that offer adult pull ups that come with tear away sides. This allows the wearer to simply rip the sides and remove it without having to pull the soiled incontinence underwear down over their legs to take it off. There are also many adult pull ups that come with a pouch inside that allows the wearer to insert an incontinence pad to boost the effectiveness of the adult pull up. The wearer should evaluate these features and determine if they would want them in their adult pull up before buying in bulk.